Terrain Models with printed surface. 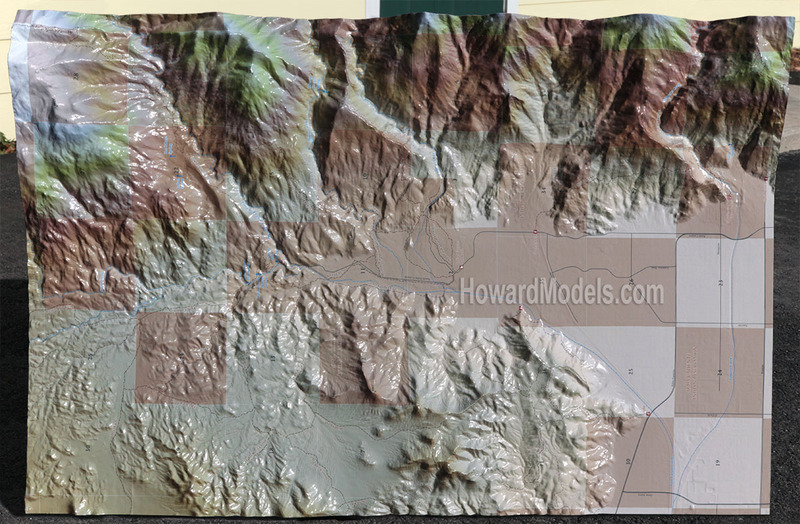 This terrain model is of part of the Agua Caliente Indian Reservation is near Palm Springs, California. The lands of the reservation almost look like a checkerboard. Originally - it was a checkerboard - but over the years, the Agua Caliente Band of Cahuilla Indians has engaged in a number of land swaps. 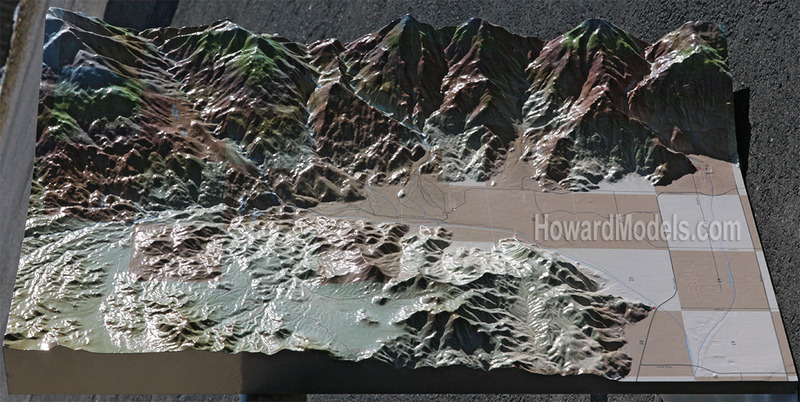 This terrain model is located in the Agua Caliente Cultural Museum. 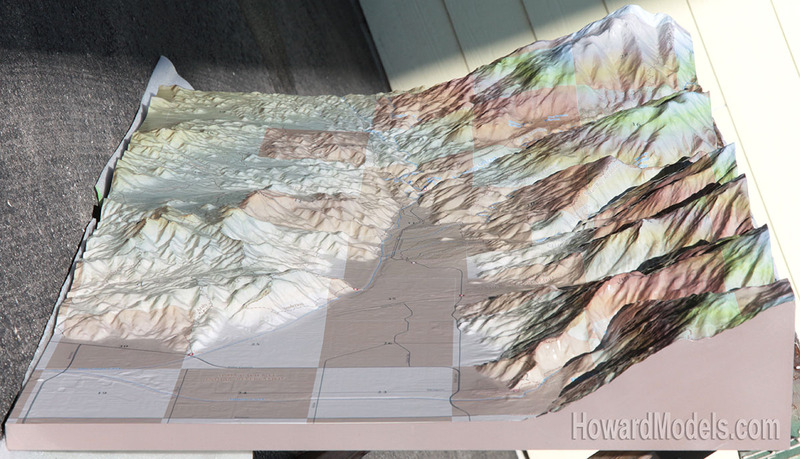 This terrain model was 44"x30"x6.5". The graphics we printed on the surface were supplied by the client. Most of our printed surface models are ready to ship in 2-3 weeks. 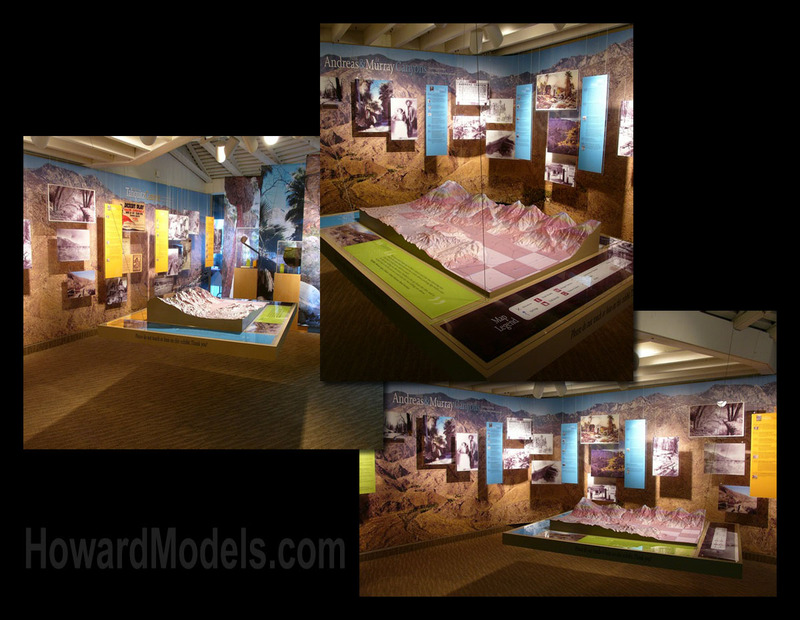 The terrain map is in its place of honor at the little exhibition we have just finished installing for Agua Caliente Cultural Museum, and looks just great. Everyone is thrilled with how it came out. Attached find 3 photos of the installation. Many thanks for turning this around so quickly, and so beautifully.